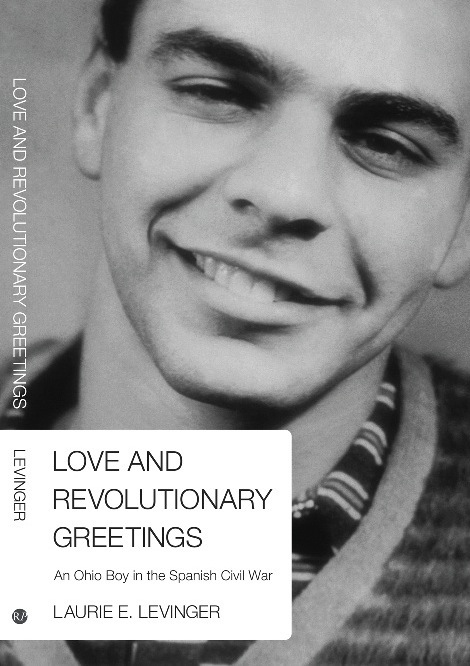 Love and Revolutionary Greetings: An Ohio Boy in the Spanish Civl War is the story of Sam Levinger, a young man who went to Spain in 1937 to join the fight against fascism. His story is placed in the historical context of the 1930’s, when freedom everywhere was threatened by Franco, Hitler and Mussolini. The book is based on Sam Levinger’s letters, poems, and stories that he sent home from Spain, interspersed with those of his mother, Elma Levinger. Over 40,000 men and women from all over the world formed the International Brigade. 2,800 men and women were from the United States; they became the Abraham Lincoln Brigade. Sam Levinger was one of them. The book is the story of a dedicated idealist and offers an eye witness account of the hardships and politics of the times. Love and Revolutionary Greetings tells the emotional and political story of American involvement in the Spanish Civil War in the language of people who lived it. Interview about Love and Revolutionary Greetings on WAMC public radio, November 9, 2012.